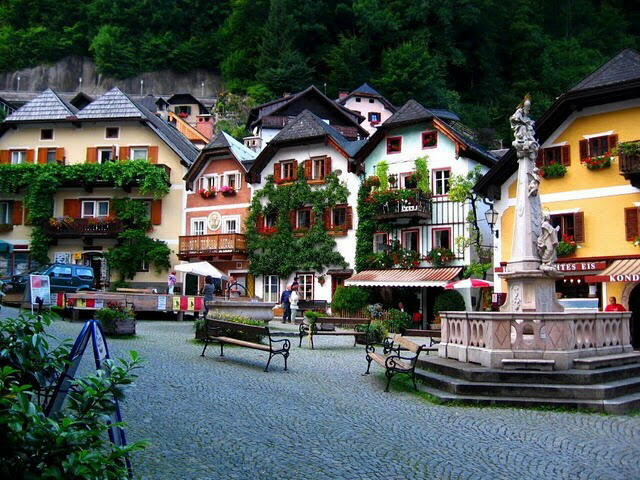 Europe : Eine Kliene stadt von Austria(Hallstatt Village). 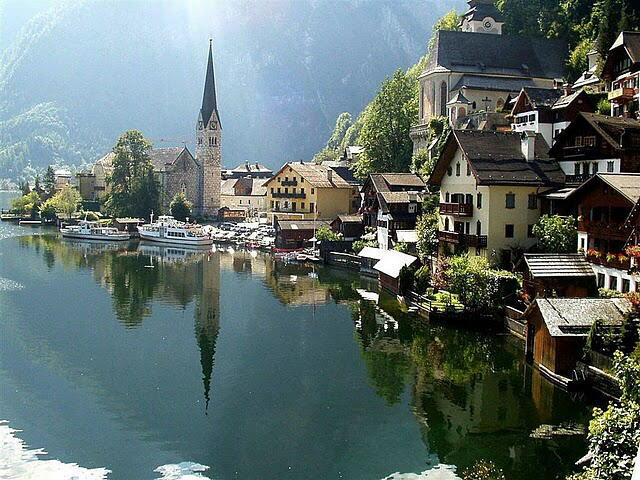 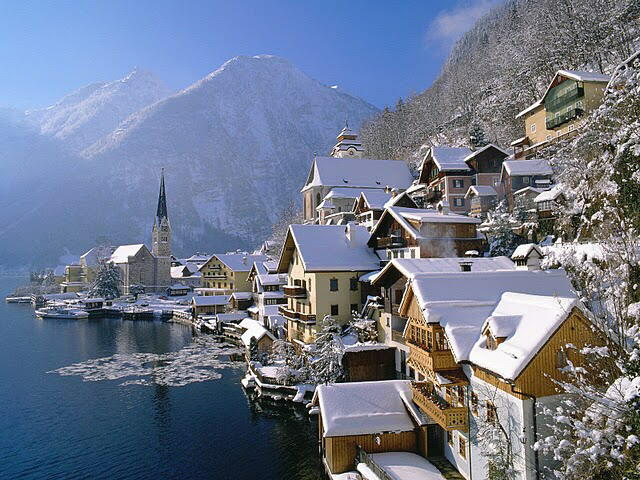 The picturesque mountain village of Hallstatt in Austria is a photographers dream. 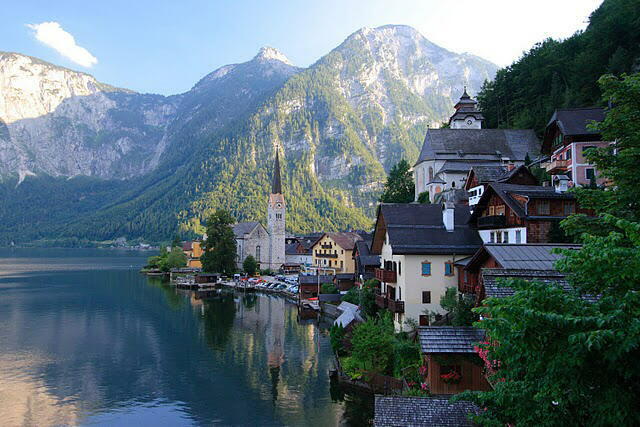 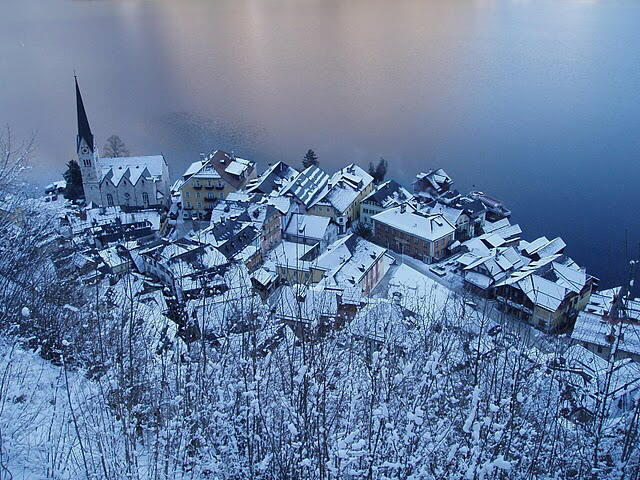 Hallstatt is tucked away in the mountains of Austria resting on the southwestern shore of the Hallstatter See (a lake). 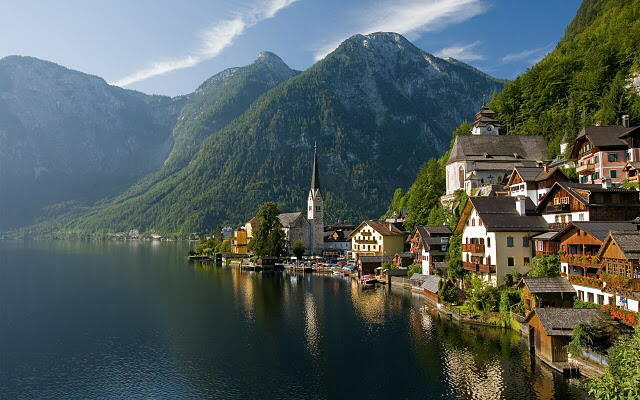 Less than 1000 residents live in this beautiful area of the world.